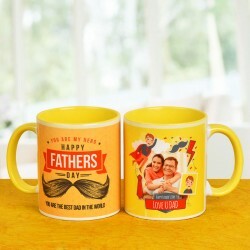 Want to make Father's day grander this time? 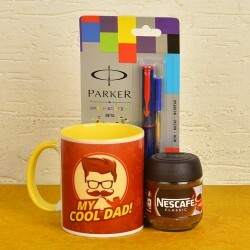 Father's day gift hampers is the perfect choice to go for! 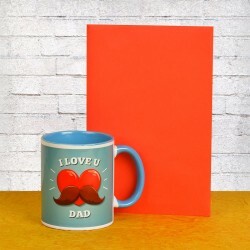 Select from a vast selection of gift hampers available on our online gift shop for your Father and let him know you care with our extensive collection. You have spent lovely times together with him. He took you out to watch a movie or a match during holidays. He kept awake when you were sick or studying. He may be an individual who is of the reserved kind, who does not show his emotions. But you surely can be the one to show your emotions. Yes! We are talking about your father. For him, you must turn everyday into a celebration. 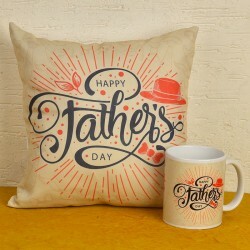 Father's day is a day for celebrating the love showered by fathers and is a wonderful reason to celebrate.There is never a day dull in the life of a father. 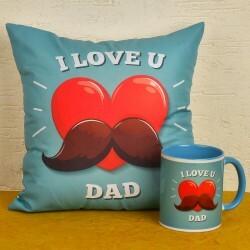 When you as a child or as a teen have spent some wonderful time, what could be a better way than to express your love on a special day dedicated to fathers. 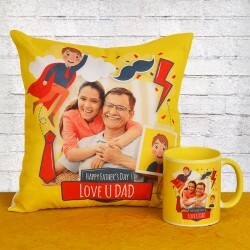 Father's Day is on 17th June, this year, the day is near . 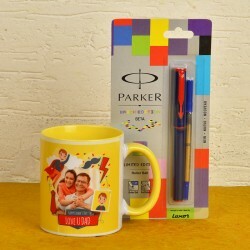 If you have not given a thought about what gift to get for the special person in your life, fret not! 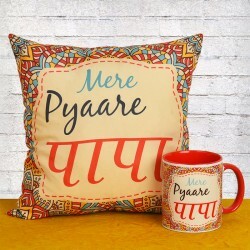 We at MyFlowerTree are here to help with our exhaustive list of thoughtful gifts that you could gift. When your father has a sweet tooth, what better than to go for chocolates. Choose a father's day gift basket, a chocolate bouquet or a tower and wait to see the smile on his face. It could be an assorted chocolate hamper for sheer indulgence. 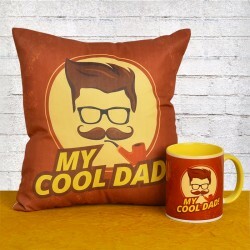 Come on, surprise him in the morning with his favourite brew in a personalised mug and a cushion to match. Let this day be the one, that he remembers for a long time to come. Make it memorable with lingering fragrance from the aromatherapy range from MyFlowerTree. De-stress him with aromatic lights. A grooming kit and the glowing face is going to preserve his glow and swell him with pride when he receives this grooming hamper from you. To keep the element of fun and surprise ongoing, indulge him with shower and bath gel. Luxury redefined with a snug bathrobe for him will be the ultimate joy. Splurge and shower him with your gratitude for all he did. 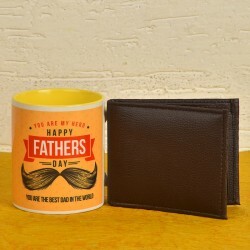 Top 5 Gift Hampers for Father Which you can Opt For. 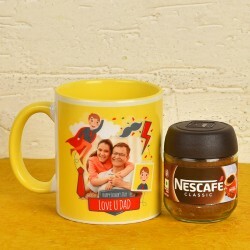 All you have to do is go to the website, browse for the father's day gift hampers, choose a gift that would suit your father's choice, add it to the cart, check out. Don't forget to select the mode of delivery and you can choose same day delivery of father's day gift baskets. Just furnish a few of your details and you are ready to floor your father. It is easier for a father to have children than for children to have a real father. 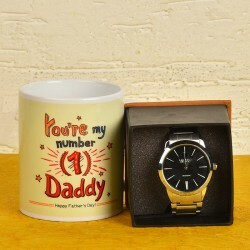 Well, your father deserves the classic combo of an elegant brown leather belt and a classic parker pen. 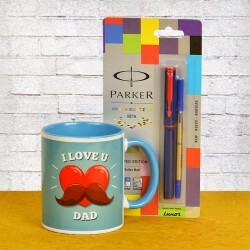 On this special day treat him with a luxurious dinner or may be a refreshing fragrance of his choice will be the perfect way to celebrate the gift of having a super duper father. When you go for the dinner, don't forget to order a Dose of Softness or a Floral Surprise from MyFlowerTree. You can not go wrong with an indulgence like Lindt Delight and Just Like Him Hamper. Fathers are a ray of sunshine in the life of a child. Howsoever, we might grow up but the glow of his warmth always bestows love and care upon us. 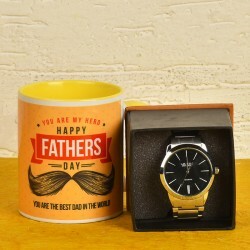 A mix and match set from MyFlowerTree is the best way to show your care for father's day gift basket delivery.